Serving Otsego and surrounding counties since 1933, Hughson & Benson Associates has provided Oneonta, NY; Cooperstown, NY; Richfield Springs, NY and Roxbury, NY with the best insurance services in the area. Our hard-working staff is dedicated to finding the best coverage at the best available cost to you. 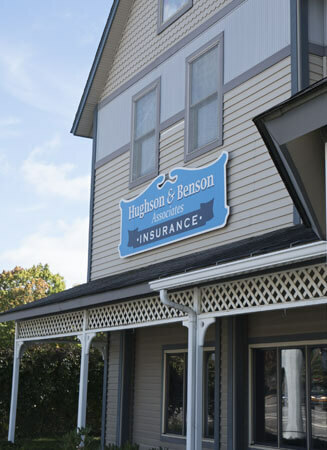 At Hughson & Benson Associates insurance, customer service is truly our main priority. Putting your insurance — whether it be home, life, automobile or business — in someone else's hands is a sign of trust, and should be treated that way. With our years of combined experience, our team has truly developed a passion for providing only the best in service to Otsego and surrounding counties. Ask us about insurance today! Don't wait any longer to find the right auto, home, business or life insurance policy designed to meet your needs. Give us a call at any one of our locations today! Or, you can inquire by submitting a quote request online and one of our professionals will be in touch with you soon. We look forward to taking care of your personal and business insurance needs!